The M&A team in leading European law firm, Fieldfisher, was looking for a new way to organize deal closings to create efficiency for their team, while improved transparency for clients. A more efficient and transparent deal closing for the team at Fieldfisher and greater engagement and transparency in client communications. How would traditional deal closings operate? Tanja Maley, Associate: Traditionally, we did physical closings and you'd have people walking around a room signing various documents. Now, we've moved to virtual completion and instead of having a lot of documents on a table, instead, you would have them flooding your inbox. And it's very difficult to keep on top of. Why were you looking for a Transaction Management platform? Tim Bird, Partner: We've been working for a number of years as a team with some Tier 1 technology providers. And, what we wanted to do was take some of the things that we'd learned from working closely with them as part of the team and open that up to other potential regular consolidators within the industry. 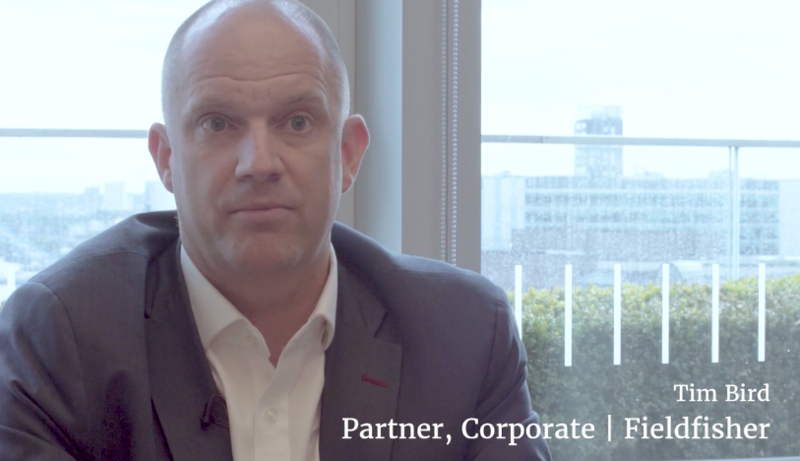 Tom Ward, Director: The M&A process, as any legal service really, is built around a relationship with the client and the wider business team. And we've found that Workshare Transact really improves trust and transparency throughout the whole process. How is Transact delivering greater transparency? Tom Ward, Director: The edit and access controls mean you can give the wider business team access into that room. They can just go in and see where things are at and have trust in that process. And for us, we find that in working with large acquirers where there's a repeat pipeline of work, they want that process to be smooth and efficient, and I think Workshare Transact is really helping us with that. Tanja Maley, Associate: Making sure that we as well as our clients are all on the same page with respect to what it is that is the latest version of the document. And for me personally, it allows me to take time to work on the more meaningful parts of the transaction. Tim Bird, Partner: We found that it's just a much more efficient process. They can dip in and out of documents as they choose and not be bombarded by emails clogging up their inbox the whole time. If you would like to see Workshare Transact, please contact the team any time to arrange a demonstration.